ArtsCow is offering 1200 FREE photo prints. You can use 100 free photo print credits each month for the next 12 months. Think of all those memories you can capture for FREE! Wedding, birthdays, summer vacation, graduation and so much more! I want to thank everyone who entered my 25 Shutterfly Cards Valentine's Day Giveaway. I would also like to thank the giveaway sponsor, Shutterfly, for sponsoring this great giveaway for my readers. 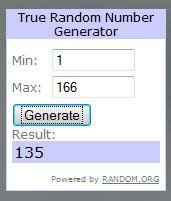 I want to thank everyone who entered my Glass Bangers Hockey Shirt Giveaway . I would also like to thank the giveaway sponsor, Glass Bangers, for sponsoring this great giveaway for my readers. This is your last chance to get FREE Seafood! 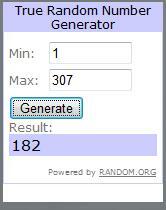 Right now, there are only 88 entries - chances are in your favor! This Mommy wants to read! 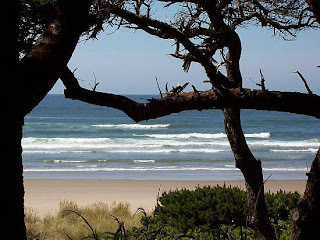 Welcome to Follow Us Monday Morning - the Monday blog hop and Google friend follow here at Being Frugal and Making it Work and Frugality Is Free. This is the place where we casually meet and greet, have a little conversation and expand our blogging networks. Mommy Wants To Read is written by A SAHM of two from New Jersey, who loves to read. Mommy Wants To Read is on a mission to show other mothers that it is possible to read books while on a budget, and still juggling family time and responsibilities. One of the ways that she gets books for her limited book budget is by winning them in giveaways. Congratulations Mommy Wants to Read! The latest craze in home decorating is vinyl wall decals. They have become very popular and it's easy to understand why. Vinyl wall decals are easy to apply and come in a variety of colors, shapes and sizes. They can easily change the appearance of ANY room in your house. Trading Phrases has wall decals for every room in your house, no matter what your style. The first time I went to their website, I browsed for over an hour before finally making a decision. Who would have thought it would have been such a hard choice? I knew that I wanted something for our master bedroom. Atleast I had one thing figured out. Kiss, Laugh, Dream is a sweet option. These are three things that I truly enjoy doing with my husband. I love my husband for Who I am when I am with him! And I want my husband to Always Kiss Me Goodnight! After what seemes like an eternity, I chose to Spend My Life With Someone I Can't Live Without! The walls in our room are a light seafoam green, so I chose olive green for our wall decal. I think it was the perfect choice. Two great giveaways end tonight at midnight. 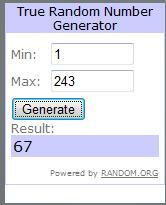 Both of these giveaways have low entries! I want to thank everyone who entered my Silly Band Factory Giveaway. I would also like to thank the giveaway sponsor this great giveaway for my readers. CONGRATULATIONS, Sally, Jessyca and CJ! I hope the kids in your life will have as much fun with the Silly Band Factory as my kids have! I have sent you all an email. You will have 48 hours to respond to the email, or another winner will be drawn. This giveaway ends tonight! It would be perfect for that Hockey Fan in your life! 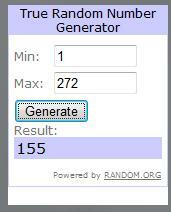 Plus, this giveaway currently only has 108 entries! If you have children, then you know how quickly and easily things can get lost (or stolen) at school, daycare or after-school sports and activities. You also know how frustrating it can be to have to replace those lost, misplaced, (or stolen) items on a regular basis. Oliver's Labels makes high quality waterproof labels and tags to stick on all your kids' stuff. Their labels are both dishwasher and laundry safe and will never fade, scuff or peel. Labels for everything you can think of: original labels, sticky (self-adhesive) labels, iron-on clothing labels, shoe labels and even customized photo labels. Oliver's Labels come in a vast variety of designs, there is sure to be a design that every child will love. From sports to fantasy to camo to outerspace, just to name a few. You can also get labels for food allergies as well, this could easily save a life! Vacationing is the one time of year where you simply don’t want to be frugal, but you may have to as money should not prevent you from going and relieving stress. Planning a vacation can be one of the more stressful things that you have to deal with and the simpler it can be the better. The stress that you feel can be alleviated by using a travel agent, and they can usually get some of the best deals, but you may be able to save some money if you are interested in saving money. Online sites offer special deals that you sometimes simply cannot find with a travel agent, but when you do, you will feel great about the purchase as it may prevent the use of a cash advance. You can save money because these sites can find the best rates that are offered that are simply not often advertised to the mainstream consumer. Priceline and Orbitz have last-minute deals and sales if you are flexible with your dates and can deal with a limited selection of airlines or hotels. This will allow you to save the money you need for discretionary spending while you are out and about. The extra money can go a long way especially if you are going on a cruise or somewhere where extra money can make a big difference on the quality of the vacation, you can get souvenirs or simply spend more money on various tourist destinations so that you can learn the history of the area or just use the extra money for entertainment. You could catch a show or even see a foreign film while you are there, which can be a much different experience than a movie in your home country. Catch a train and go explore, there are so many things you could do with any extra money you save through deal-hunting. This hop is hosted by Snack Bar Reviews, Real Mom Reviews, and Being Frugal And Making It Work. If you'd like to be a Guest Host follow all the rules and comment. 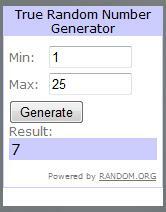 One blog will be randomly selected and be the Guest Host. Let me know you did all that and leave a comment. Super Bowl Sunday is right around the corner. For me personally, the Super Bowl is about snacking all day long and the funny commercials. I honestly could care less about the football game itself. This year I'm a little more interested because my son's favorite team has made it to the big game. I'm excited because he's excited! I just recently had the opportunity to review some great Super Bowl Home Party Games from Python Printables. We are having a few friends over for Super Bowl Sunday this year and these fun Super Bowl Party Games will be a great family-friendly activity. My almost 10-year-old son is a fanatic about stats and figures, so I know his favorite is going to be the Super Bowl Trivia! I'm sure that he will know more of the answers than the adults will. Just to mess with him, we might have to play Super Bowl is Stupid Mad Libs to get the games started! I love how cute and colorful the Super Bowl Party Games are. I also love the fact that this is a fun and educational way to keep the children entertained during the big game. We all know that mose times, the kids get restless during such events and anything that will keep them occupied is a big bonus! Python Printable Games offer a wide variety of options. There are printable games for Birthdays, Mardi Gras, Valentine's Day and more. Perfect for home, office and school events! There are a few FREE printable games available too! My new Cool Care Mini Flat Iron with matching storage bag proves that great things come in small packages! This cute little guy is only 5 1/2" inches long. Don't let the small size discourage you, this Cool Care Mini Flat Iron heats up in just one minute! It also cools down in less than 5 minutes. I love the fact that this mini flat iron is small enough to take anywhere. It is great for travel and will easily fit in most purses, you never know when your hair might need a touch-up. It is the perfect size for your hand and so easy to hold and manage. Thus making it easier and faster to fix your hair. The Cool Care Mini Flat Iron is powerful enough for use on adult hair and gentle enough to use on your child's hair as well. Speaking of children, my daughter thought my mini flat iron was so pretty and tried to "claim it" as hers! The Wall Mounting Unit is sturdy and convenient, leaving your curling iron and blow dryer at your finger tips. It is easy to install and can be done in a matter of minutes. The Cool Care design also protects you (and your children) from nasty burns. No more worries about getting burned or whether or not you turned it off before leaving the house. Since it can hold both your mini flat iron and your blow dryer, it's a space saver as well! I want to thank everyone who entered my Imagination Box Cardboard Playhouse Giveaway. I would also like to thank the giveaway sponsor, Imagination Box, for sponsoring this great giveaway for my readers. Finally Frugal! I would like to welcome you to the Fantastic Frugal Fridays blog party. Frugal Finally! is written by Melissa, who is learning to a little more frugal every day. Melissa recently went on a beautiful getaway at Bald Head Island, NC with her husband, and you should see her photos. The photo for her blog button (above) is from her trip, and I have the feeling it must have been quite a romantic (and also a bit frugal) getaway. 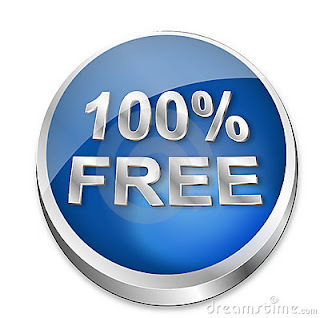 Congratulations Frugal Finally!, you have won a one week free ad space at Frugality Is Free and Being Frugal and Making It Work. Will You be Next Week's Frugal Expert??? This FUN Giveaway ends tonight. There are going to be 3 Lucky Winners, so be sure to get your entries in before it's too late! 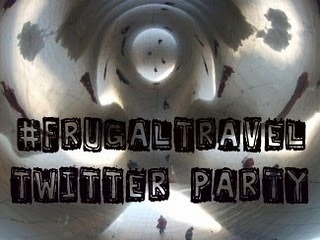 Join Us For a #FrugalTravel Twitter Party! Planning a family vacation, trip of a lifetime or a quick weekend getaway on a budget and looking for frugal travel ideas? Or, do you want to travel, but not sure how you can afford to do so on a tight budget? Join me, CheekyMommaof2, on February 7th from 9-10pm EST with co-hosts JRFrugalMom and Chitownchica as we discuss frugal travel tips and ideas. 6. Attend the #FrugalTravel Twitter Party on Monday the 7tht at 9/10 EST and use hashtag #FrugalTravel in your tweets! Illinois Nut & Candy has been serving sweet treats and Raising the Candy Bar for over 25 years. Until recently, I had never heard of this company and was thrilled at the opportunity to sample some of their chocolate treats. I chose their 16 Piece Box of Truffles! These truffles are handmade and delicious. Each truffle was so pretty, almost too pretty to eat. The hard outer shell blended perfectly with the soft truffle center. They will literally melt in your mouth. My delicious truffles, they sure didn't last long! With over 600 delicious confections to choose from, it wasn't an easy decision. 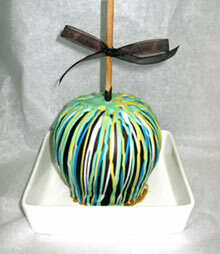 From delicous chocolate treats to chocolate covered nuts to sweet chocolate dipped fruits to gourmet dog treats! As you can see, they have something for everyone! Gorton's Seafood January Grilled Giveaway - 5 Winners! Do you trust the Gorton's fisherman? My kids and I absolutely LOVE seafood, but we rarely get to have fresh seafood. 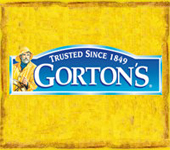 Gorton's Seafood tastes delicious. 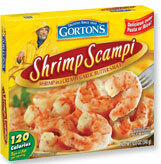 We especially love their Shrimp Scampi, Buttery Shrimp and Fish Sticks. With so many different types and kinds of seafood, you can create the perfect meal. Every single time! How about sitting down for a delicious and healthy meal that takes less than 30 minutes to prepare? As a busy mom, meals that are healthy, quick and easy are often those that save the day and allow me to spend valuable time with my children. Gorton’s is having a January Grilled Giveaway and you could win FREE seafood or an XBOX 360 with Kinect Console. I want to thank everyone who entered my JustPaperRoses $50 Gift Certificate Valentine's Day Giveaway. I would also like to thank the giveaway sponsor, JustPaperRoses, for sponsoring this great giveaway for my readers. CONGRATULATIONS, Lacey! 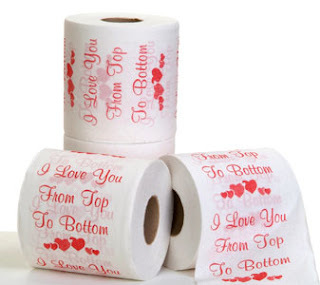 I really hope Chad likes his toilet paper (or whatever else you choose). Happy Valentine's Day! I want to thank everyone who entered my Udderly Smooth Assorted Prize Pack Giveaway. 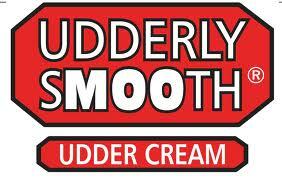 I would also like to thank the giveaway sponsor, Udderly Smooth, for sponsoring this great giveaway for my readers. 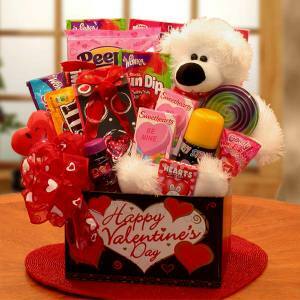 Valentine's Day is right around the corner and Bea's Gift Baskets and Gifts can help you create Valentine's Love and Romance. Maybe your special someone is Bad to the Bone or thinks they are Hot Stuff! From melt-in-your-mouth chocolate roses to beautiful cookie bouquets to the ultimate day or relaxation with the Mind, Body & Soul Spa. Remember that Valentine's Day isn't only about romance. Don't forget about Your Beary Huggable Kids, they deserve something special too! 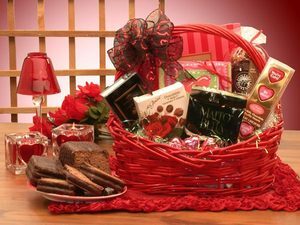 Right now Bea's Gift Baskets and Gifts is offering FREE SHIPPING on any basket or gift over $50! Plus, you can use Promo Code: ROBIN to save 10% off your order! Now is the perfect time to order from Bea's Gift Baskets and Gifts. If you decide to make a purchase, please let them know that Being Frugal and Making it Work sent you! Simply eave that little bit of information in the comment section at checkout. **The views and opinions expressed on this blog are purely my own. Results may vary. I wrote this blog post while participating in the Bea's Gift Baskets and Gifts Blogging Program for a chance to win a gift basket. This Valentine's Day 2011 Giveaways ends tonight at midnight. Be sure to get your entries in before it's too late! Free Week: Curves for Women - It Really Works, I'm Proof! I started my lifestyle change a few months ago. I changed my eating habits, joined Curves for Women. and started exercising 3 - 4 times a week. I also began drinking Celsius each morning on my way to the gym. Since becoming a member of Curves, I have lost 13 pounds and 10 inches! Right now, Curves for Women is offering a FREE Week Pass for New Members! No contracts. No commitments. Just fill out the form to get your FREE one week pass today! It's a 30 minute workout that will change your life! Curves has a great circuit and many locations now offer Zumba fitness classes as well. You can burn up to 500 calories in one workout, it combines strength training and cardio for a workout that works your entire body, from head to toe! I was recently given the opportunity to review Zylie the Bear. She happened to begin her adventure at our house on my daughter's 7th birthday. It was perfect timing and put the biggest smile on my daughter's face. She immediately took Zylie and off they went. I found them a few minutes later, playing on my daughter's bed. My daughter then introduced me to her new baby sister, Zylie! Their connection and friendship was instantaneous! I'll admit that Zylie is simply adorable and I love her outfit. She is soft and cuddly too. The first adventure my daughter and Zylie went on together was horseback riding. My daughter has been writing in Zylie's journal each time they do something fun together. 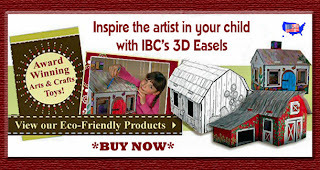 I love toys that spark creativity and imagination with my children. 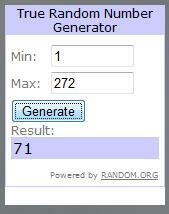 LOW ENTRY Giveaway Ends Tonight! Some Things in Life Really Are FREE! Bloghopalooza... A Month long Blog Hop!! Life Is Good Blog Award - Paying It Forward!